영혼을 살리고 내면의 건강을 유지시키는 힘! 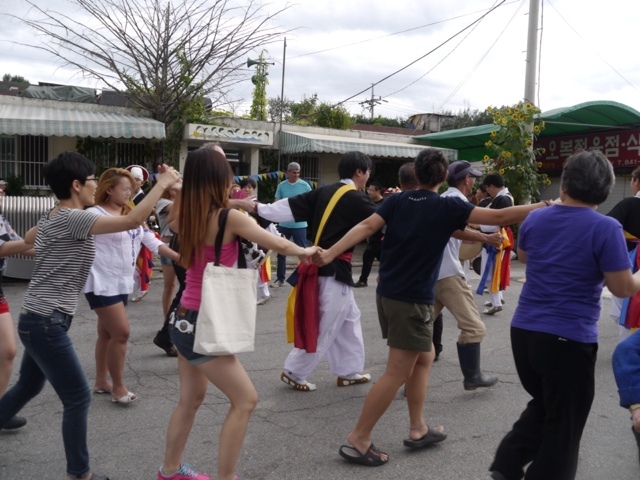 Other women from Dongducheon and Pyeongtaek and Korean Sisters from Uijeongbu participated in Durebang Day. I felt super happy to be with them and look forward to seeing them again. This was my friends’ and my first Durebang Day, and we are excited to plan the upcoming Christmas party. I am glad we could do this at Durebang. We need to feed our souls like this sometimes and be healthy inside. Let’s keep moving and building power together. 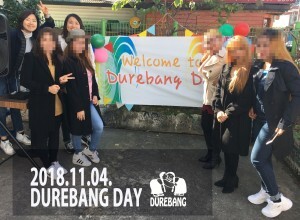 Durebang Day was an unforgettable experience. 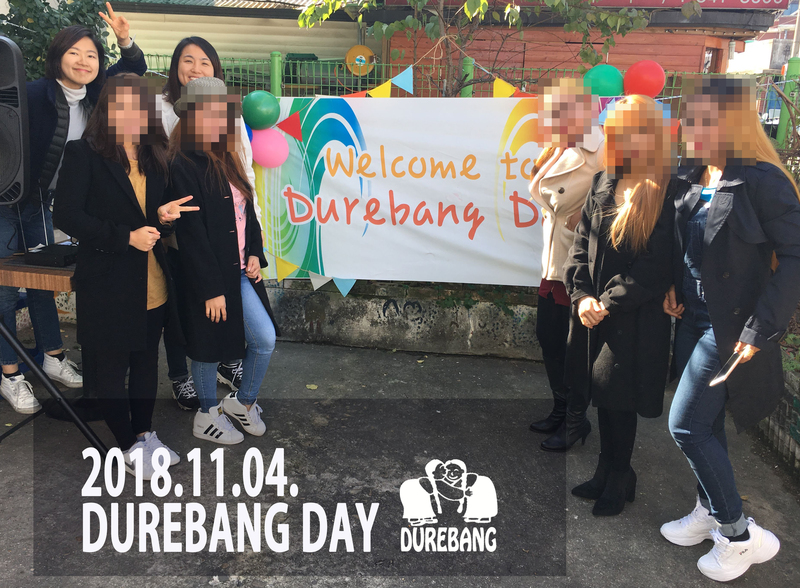 On Sunday, November 4th, we began the celebration of Durebang Day by sharing good food. 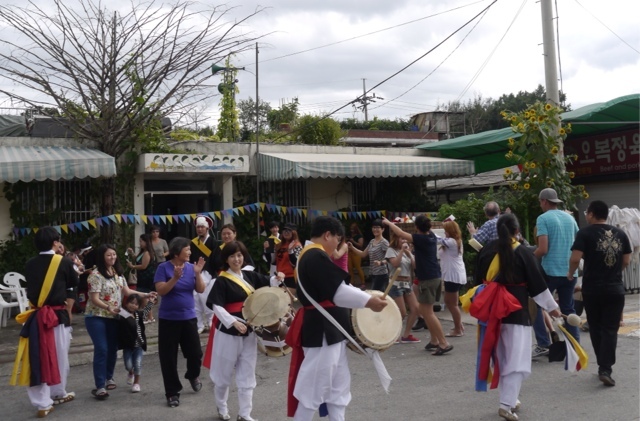 Aside from the food, I had the chance to meet some new Filipino and Korean friends. 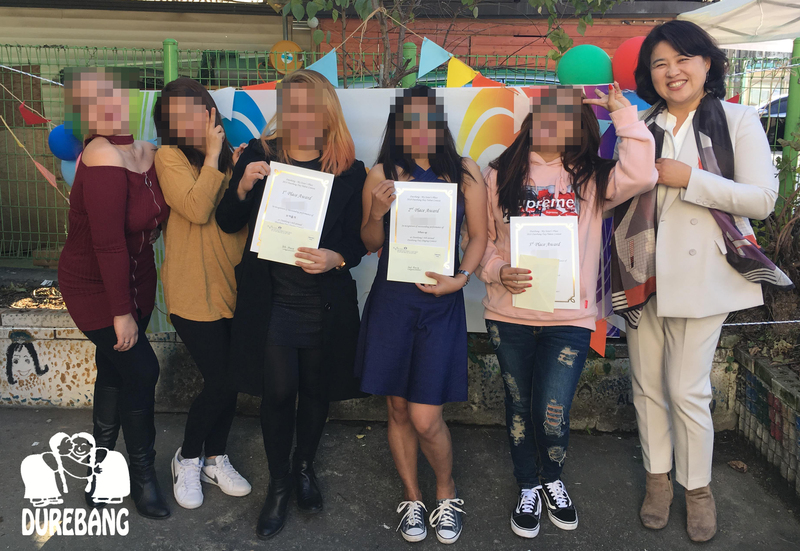 I had so much fun being one of the masters of the ceremony, and I saw how everybody was cooperating together yet at the same time enjoying the celebration. 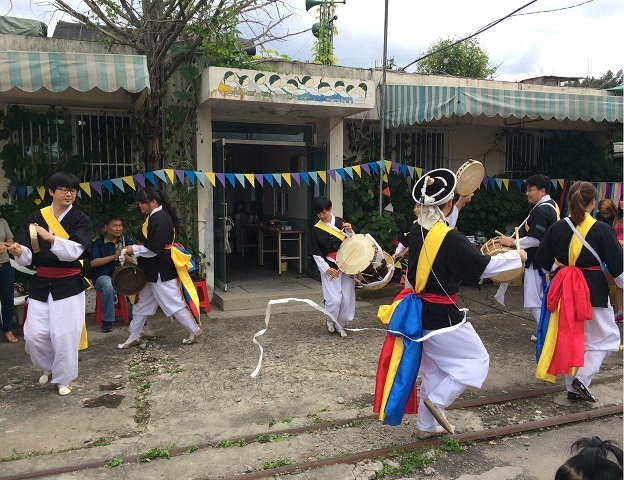 The games and the singing contest were especially enjoyable. It felt like celebrating with our own family back at home. Eating and laughing together, dancing and singing together. 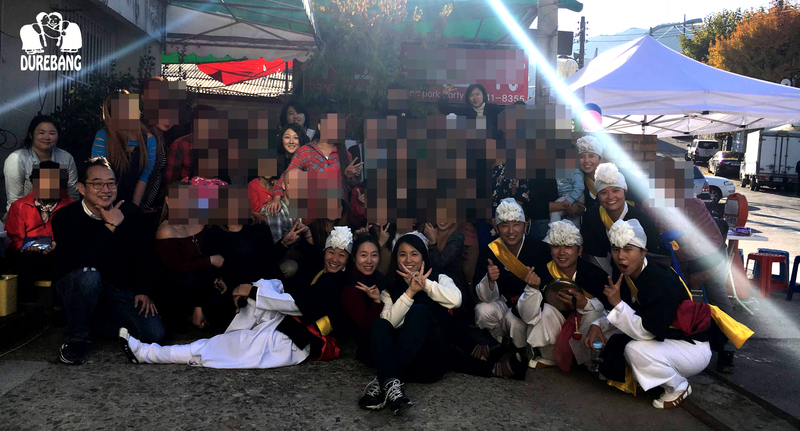 All of the Filipino friends, including myself, were grateful that we could find a family here in South Korea, even when we are far from home and our loved ones. As a member of this family, we can ask help whenever we are in need. We are in a place where the people around us understand us and treat us as actual people. I was happy about being part of this celebration, where I felt like we could belong. (두레방데이는 잊을 수 없는 경험이었다. 11월 4일 일요일, 우리는 좋은 음식을 나누며 두레방데이를 함께 축하했다. 음식 나눔 외에도, 필리핀과 한국 친구들을 만날 기회가 있었다. 나는 행사 호스트가 되어서 너무 각별했고, 모두가 함께 축하를 즐기는 동시에 어떻게 협력하고 있는지를 보았다. 게임과 노래 경연 대회는 특히 즐거웠다. 집에서 우리 가족과 함께 축하하는 기분이 들었다. 함께 먹고 웃고, 함께 춤추고, 노래한다. 나를 포함한 필리핀 친구들은 모두, 우리가 집과 사랑하는 사람들과도 멀리 떨어져 있는 지금, 한국에서 가족의 향기를 느낄 수 있다는 것에 감사했다. 이 가족의 일원으로서, 우리는 도움이 필요할 때마다 도움을 요청할 수 있다. 우리는 우리를 이해하고 우리를 사람으로서 대하는 사람들이 있는 곳에 있다. 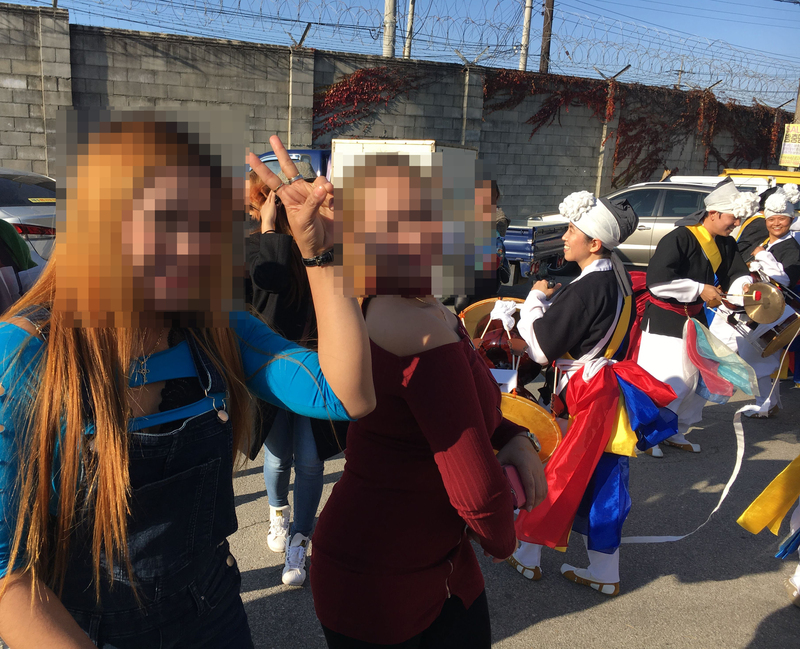 나는 내가 소속감을 느끼는 이 축해 행사-DUREBANG DAY의 일원이 될 수 있어서 행복했다.